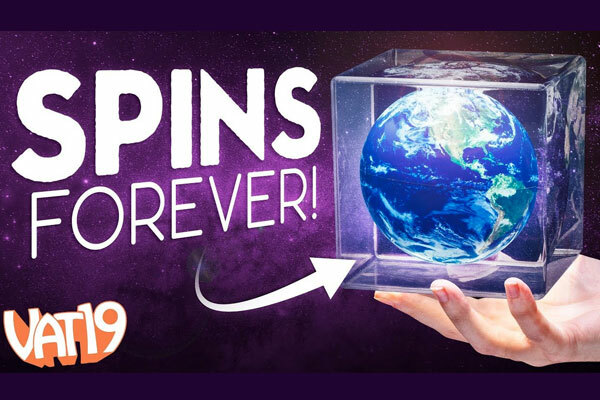 MOVA Globes: Designer globes that spin automatically. 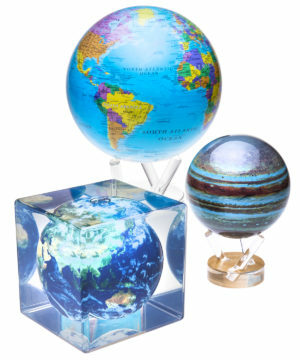 Decorate using distinctive and delightful decor and discover the world of MOVA Globes, uniquely functional and beautiful models of Earth that automatically spin. Using the power of magnetism and ingenious machinery, the richly colored globes spin while encased in a transparent shell. The clever design creates a simply elegant effect that will spark your curiosity, start a conversation, and make an impression. Choose between classic maps, modern political and satellite images, extra-terrestrial worlds, and even recontextualized art masterpieces in a variety of sizes. Each globe is stunning in its design, inside and out. A clock that displays the time as text.